In southeastern Prospect Heights lies a district of 106 apartment buildings built between 1909 and 1929. The buildings along Eastern Parkway, Lincoln Place, St. John’s Place, Butler Place and Plaza Street are of similar design with varied ornamental flourishes, giving the district a high degree of design consistency. The district was promoted at the turn of the 20th century by the Prospect Park Commissioners with a view to attracting high quality development to complement and be complemented by the Park, Museum, Botanic Garden and Library. It represents a unique period in Brooklyn history when building patterns shifted and a new type of urban dwelling was built for a rising middle class. Built on land that had remained vacant for decades, these apartment houses attracted people who wanted to live near Brooklyn’s cultural center and Prospect Park, sought the advantages of apartment dwelling, and wanted rapid access to downtown Brooklyn and Manhattan via the soon-to-arrive subway. Since their construction, the buildings of the Prospect Heights Apartment House District have seen relatively little change, presenting a window into the changing urban life of Brooklyn at the beginning of the last century. Unfortunately, current and future development pressure may now threaten the character of this unique section of Prospect Heights that each year welcomes thousands of visitors to Brooklyn’s premier cultural institutions. 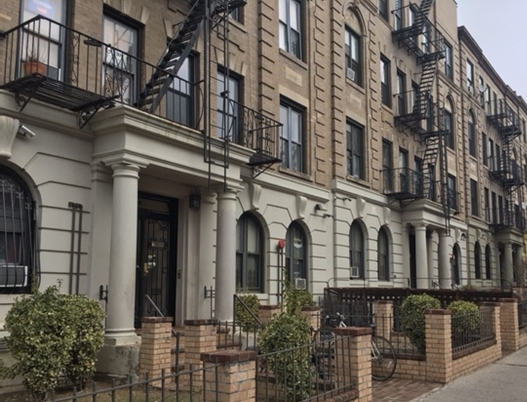 Excess development rights, combined with a superheated real estate market, make many properties within the Prospect Heights Apartment House district potential targets for uncharacteristic additions, or even redevelopment. Watch a presentation on the history of the Prospect Heights Apartment House District, and find out why it's important the area be designated a historic district now. 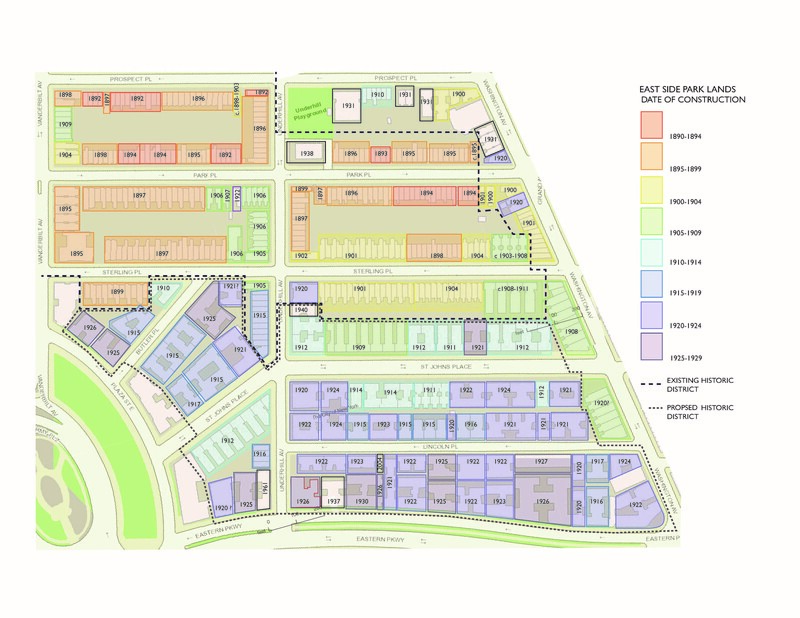 Review frequently asked questions to better understand what historic designation means for buildings in this part of Prospect Heights. Sign our petition calling on Mayor de Blasio and Landmarks Preservation Commissioner Srinivasan to designate the Prospect Heights Apartment House District a New York City Landmark District as soon as possible. We’ll make sure you’ll be kept up to date on our progress as this initiative moves forward. Volunteer to help us complete the research and outreach necessary to move this campaign to the next stage. Make a tax-deductible contribution to support this preservation effort. Thank you for taking the time to learn more about the Prospect Heights Apartment House District, and for your support of this important community-led initiative!